What better day than today to question the meaning of your existence? Here are some mind-boggling facts about space to send you head-first into an existential crisis! We’re all familiar with the 8 (or 9, depending on who you ask) planets of our solar system. But there’s a whole lot more of them out there, my friend. 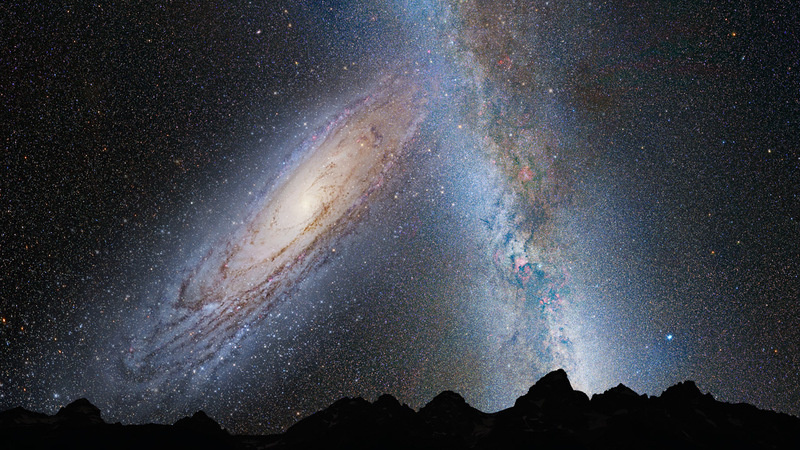 Scientists believe that in our galaxy (the Milky Way) alone, there are likely 100,000,000,000 planets. However, we’re not the only galaxy in the universe. 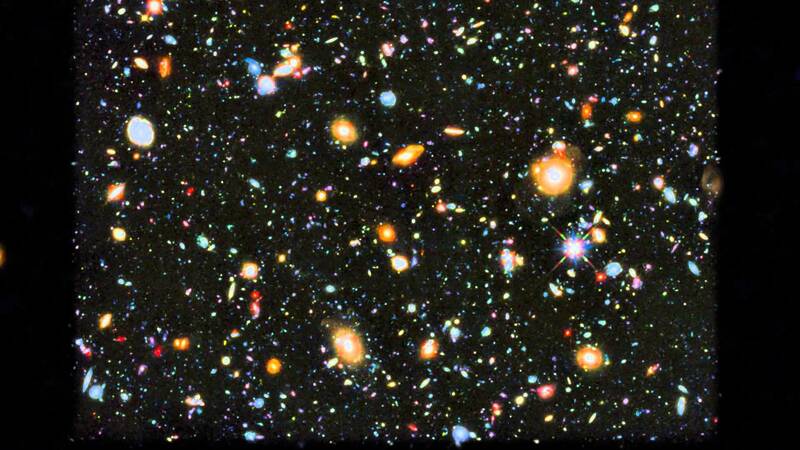 In fact, there are an estimated 170,000,000,000 other galaxies in our universe too. And that’s just in the “observable” universe. So really, our universe probably has more than 17,000,000,000,000,000,000,000 planets in all. In other words, Earth represents 0.00000000000000000000588 % of all planets in the universe! Given that there’s a ridiculous number of planets in the universe, space must be pretty big, right? Well, “big” is quite an understatement. Numerically speaking, the Earth is about 268,000,000,000,000,000,000,000 miles from the edge of the observable universe. Traveling to the edge of the universe is like shrinking yourself down to the size of a cell, and then traveling to the Andromeda galaxy (our neighbor) in a tiny cell-sized spaceship. However, the edge of the observable universe is by no means the real edge of the Universe. It’s called the observable universe for a reason. Any light that exists beyond the observable universe has not had enough time to reach us since the universe was born 14 billion years ago. Therefore, we are unable to see it. 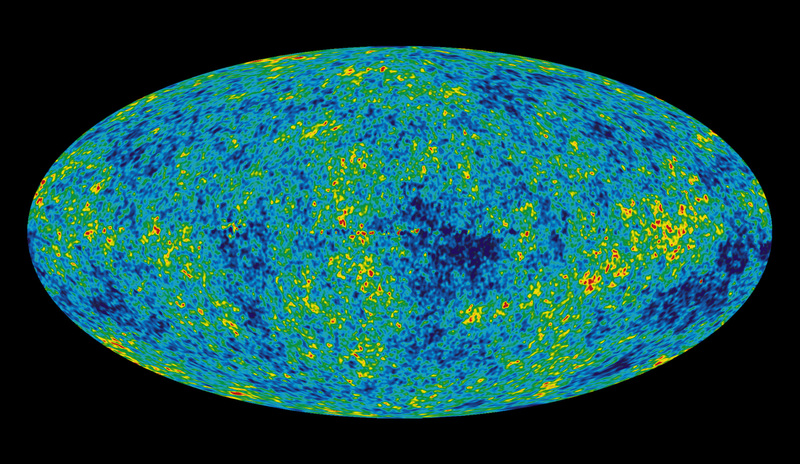 Still, scientists have come up with a lot of theories about the true size of the universe. Estimates range all the way from 250 times the size of the observable universe, to as much as 300,000,000,000,000,000,000,000 times the size of the observable universe. 3. Everything is rotating, and rotating FAST. Right now, you and the rest of our planet are rotating around the Earth’s axis at just under 1,000 mph. 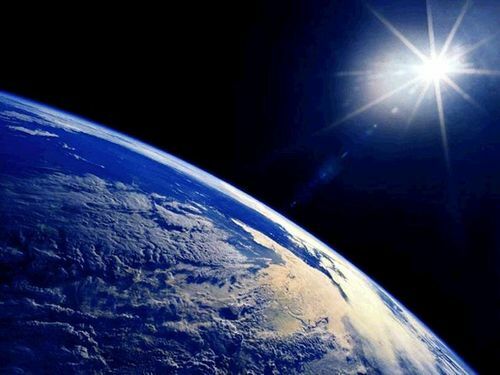 Of course, the Earth itself also rotates around the Sun, clocking in at a speed of about 66,000 mph. What you may not know however, is that like the Earth around the Sun, our solar system is also rotating about the center of the Milky Way. This happens at around 490,000 mph. And if you thought we we’re finished, we’re not. Turns out the Milky Way also rotates about an axis. Scientists estimate that our galaxy is traveling at speeds close to 1,300,000 mph! Right now, the Andromeda galaxy is careening towards us at 68 miles per second, destined for collision with the Milky Way. But don’t worry, any such collision won’t occur in our lifetime. Current estimates are saying we have around 4 billion years to prepare for it. That’s enough time for humans to evolve from apes again about 500 more times. There’s one big issue though: the Earth will be uninhabitable by the time this collision happens. Scientists suspect that in less than a billion years, the Sun’s brightness will increase so much that the oceans will evaporate into the atmosphere, and eventually out into space. Without water, life cannot exist. Hopefully, we’ll be watching this collision from somewhere other than planet Earth! Okay, enough about how small and insignificant we are. This last one is purely about bending your mind. For those who don’t know, black holes are spherical regions of space with a gravitation pull so strong, that nothing can escape from it. Not even light. The boundary for this “sphere of inescapability” is known as the event horizon. Once you cross the event horizon, there is no chance of return. Black holes can have some pretty trippy effects. First of all, if you were to watch your friend slowly descend towards a black hole, you would never see them cross the event horizon. To a distant observer like you, time appears to infinitely slow down for your doomed friend so that it forever looks like they’re about to cross the horizon, but never do. In addition, your doomed friend would never visually experience crossing the event horizon either. To them, the black hole will forever look like it’s just below them. That is, until they reach the center of the black hole and the tidal forces tear them apart. At least that’s what the laws of physics dictate would happen. If you were ever to fall into a black hole, you’d never be able to tell anyone what actually happened. See, nothing can travel faster than light, and since even light cannot escape a black hole, any information you send back to base camp about your experience in the black hole will never actually get there. 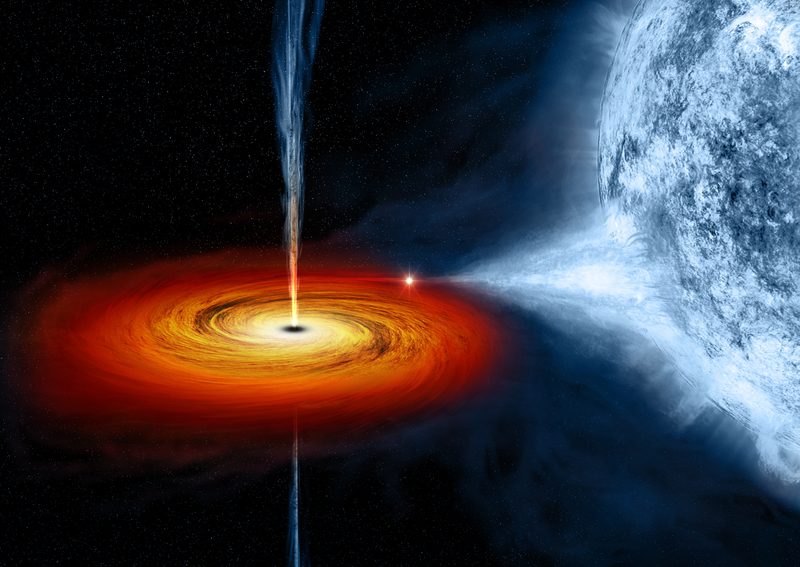 So we will never know what truly happens when you fall into a black hole.